Lined boots and Lammy coats; New Yorkers are hard to hold back when it comes to art and fashion. Because despite the baren temperatures of -7 degrees Celsius there were about two hundred invited guests who reported in at 8 o’clock on monday morning for a sneak preview of the new exhibition Manus X Machina in the Metropolitan Museum of Art. In the reception hall, coffee and tea was served and we were offered to grab a small croissant. At 8.30 sharp, when we were all in place with our little notebooks and iPhones, the British Thomas P. Campbell, director of the museum, arrived on stage for a short word of welcome. The main thematic of the exhibition is the changing relationship between craft and technology in fashion. That is precisely what the titel refers to as well: Manus is Latin for hand, Machina is Latin for machine. So, Hand x Machine. Curator Andrew Bolton, part time anthropologist, explains that in fashion, a new relationship has risen between men and machine. Before, haute couture was equal to the handmade, and ‘pret a porter’ was mechanically created thus less exclusive. Nowadays, this dichotomy is fading. Both disciplines are becoming more appreciative of each other, and all kinds of extraordinary creations emerge, as symbols of the 21st century. Some of these creations were on view before. 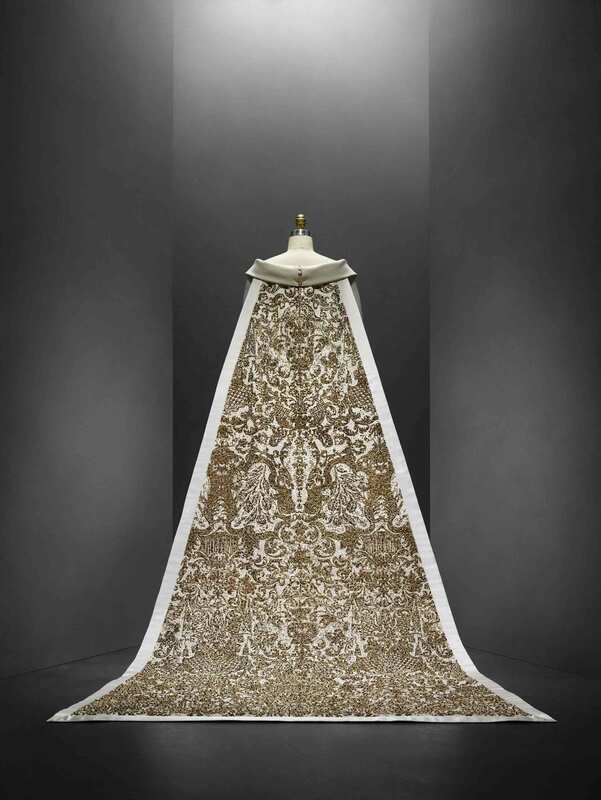 Karl Lagerfeld’s wedding dress (see above), was hand-casted and mechanically sewn. The knitting patterns were manually finished off and also the 42 golden and crystal buttons were applied by hand. The golden leather motifs however, were made on a machine. Dutch designer Iris van Herpen is also represented with two flamboyant dresses. 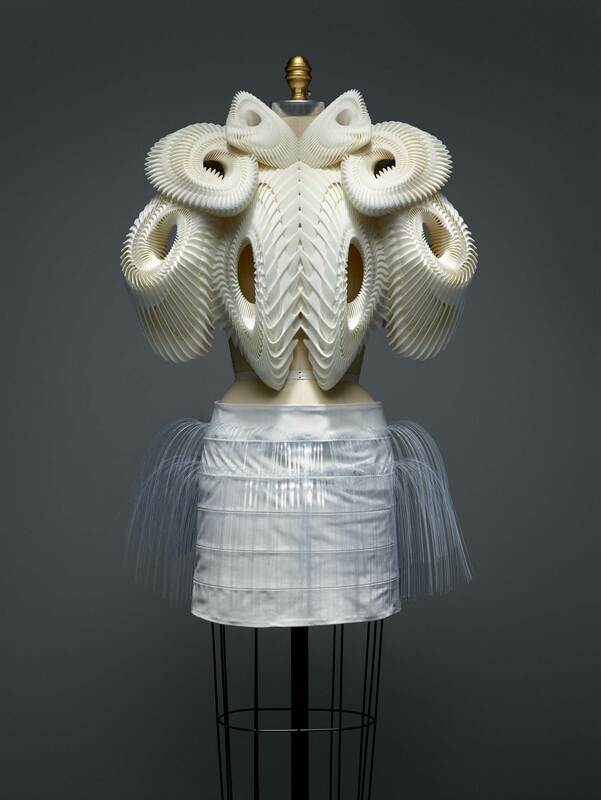 One of them is a 3D printed dress with white polyamide. The goat’s leather was added mechanically and the acryl collars were cut by hand. The other dress consists of laser-cut strips of silicon feathers. Those were embroidered onto the dress by hand. Mechanically, white cotton was sewn on and seagull skulls were applied by hand with synthetic pearls and glass eyes. 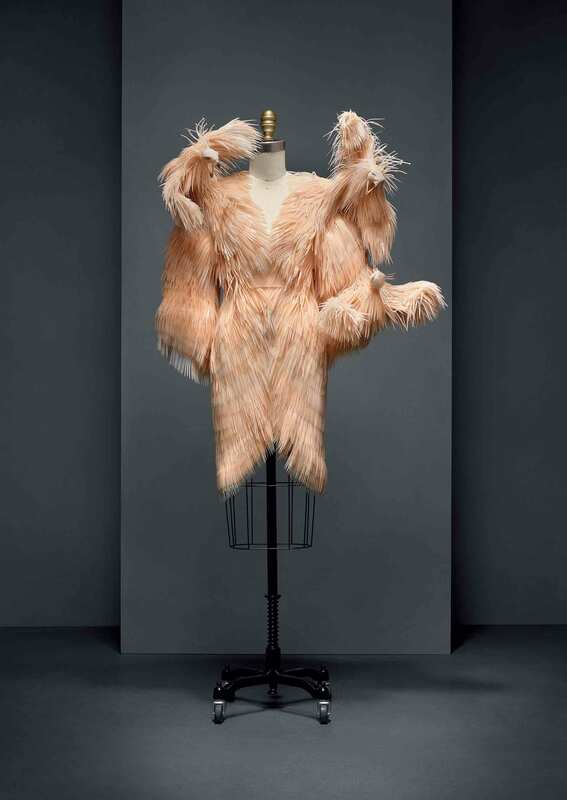 A dress that Anna Wintour, editor-in-chief of the American Vogue, likes to be photographed with. 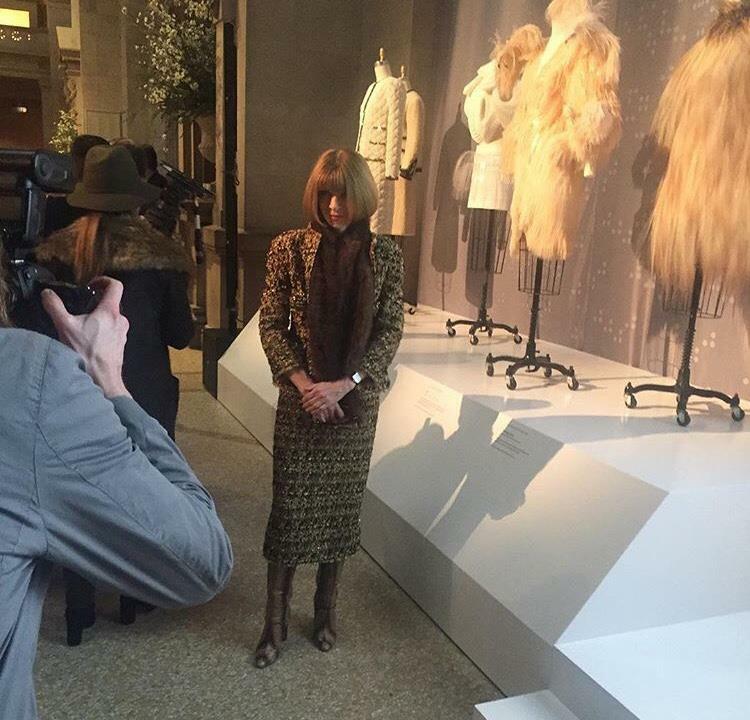 Anna Wintour poses with Iris van Herpen’s dresses.